Richard Theodore Greener (30 January 1844 – 2 May 1922) was the first African-American graduate of Harvard College and dean of the Howard University School of Law. 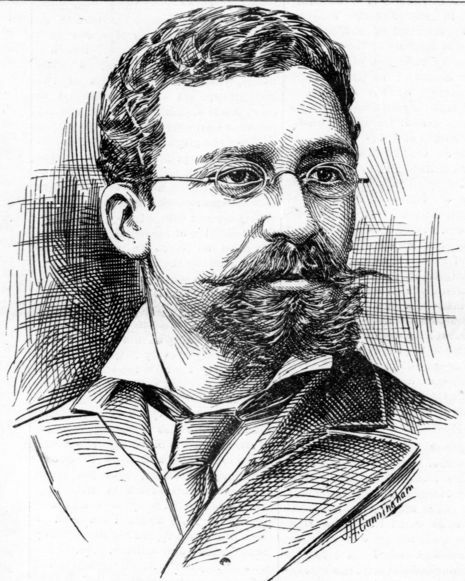 Richard Greener was born in Philadelphia in 1844 and moved with his mother to Boston when he was about nine years old. He quit school in his mid-teens to earn money for his family, but one of his employers helped him to enroll in preparatory school at Oberlin College. He studied at Phillips Academy and graduated in 1865. After three years at Oberlin, Greener transferred to Harvard College and earned a bachelor’s degree in 1870. After teaching for two years at the Institute for Colored Youth in Philadelphia and then serving as principal at the Preparatory School for Colored Children in Washington, D.C., Greener accepted the professorship of mental and moral philosophy at the University of South Carolina in October 1873. On September 24, 1874, Greener married Genevieve Ida Fleet. When the university was closed in June 1877 by Wade Hampton III and the newly elected Democratic regime, Greener moved to Washington, D.C., where he took a position as a clerk in the Treasury Department and as a professor in the Howard Law School. He served as dean of the Howard University School of Law from 1878 to 1880 and opened a law practice. From 1885 to 1892, Greener served as secretary of the Grant Monument Association and from 1885 to 1890 as a civil service examiner in New York City. In the 1896 election, he served as the head of the Colored Bureau of the National Republican Party in Chicago. In 1898, Greener was appointed as the United States Commercial Agent in Vladivostok, Russia, a position he held until 1905. Greener left the foreign service in 1905, settling in Chicago with relatives. He held a job as an agent for an insurance company and practiced law. He occasionally lectured on his life and times for the remainder of his life. Greener died of natural causes in Chicago on May 2, 1922. His daughter was Belle da Costa Greene.